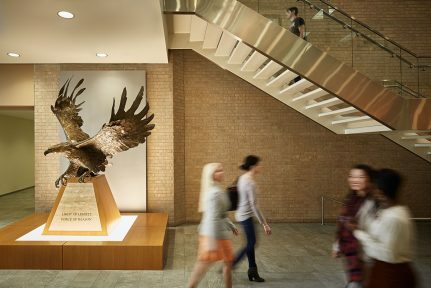 South Texas College of Law Houston – Practical Education. Lifelong Connections. 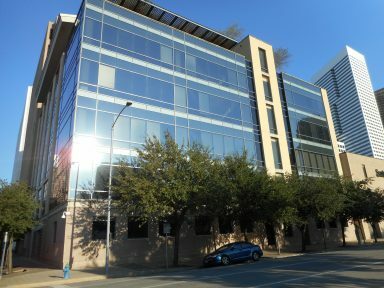 South Texas College of Law Houston is located in the heart of downtown Houston. We foster a supportive culture where students recognize the value of working together and professors are committed to supporting their students. Our alumni have gone on to distinguished careers in public service, corporate law, judiciary, and some of the nation’s premier firms. Graduates of South Texas College of Law Houston enjoy one of the state’s highest employment rates. Our students graduate with some of the lowest debt burdens among private law schools in Texas. National Jurist magazine lists South Texas College of Law Houston as one of the most diverse in the country. Our 19 legal practice clinics give students the chance to handle real cases on behalf of those who need it most. We offer a legal education that blends case law theory with relevant experience and professional opportunities. Our Advocacy Program has trained student teams that have won 131 national championships—more than any other law school in the country. We believe that an accessible legal education can be a powerful force for positive change. Located in downtown Houston, home to one of the nation’s largest legal communities, we offer unparalleled access to internships and job opportunities. Our graduates consistently outperform the five-year average bar pass rate for Texas. Current and prospective students can learn about different career options in many legal fields, what it’s like to practice in those fields, and how to plan a curriculum to emphasize desired career goals. Our 19 clinics offer students the chance to learn valuable, real-world legal skills by providing critical legal representation to traditionally under-represented populations. South Texas College of Law Houston prepares a diverse body of students to serve their community and the profession with distinction. 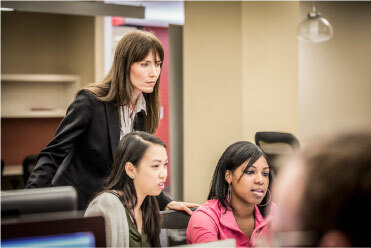 Fred Parks Law Library supports students in the classroom and prepares them for employment after graduation. South Texas College of Law Houston provides students with a full range of services and opportunities to enhance their learning experience. The T. Gerald Treece Courtroom ipsum dolor sit amet, consectetur adipiscing elit. The Alumni Association offers benefits, programs and activities to more than 15,000 alumni around the world. All South Texas College of Law Houston graduates are automatically lifetime members to the Alumni Association. A large variety of employment opportunities fall under the general umbrella of business and corporate law. For example, business lawyers may help create business entities, facilitate commercial dealings, finance business endeavors, or steward clients through bankruptcy proceedings. Dispute resolution specialists should be familiar with multiple dispute resolution processes, both in and out of court. Alternative dispute resolution (ADR) processes include arbitration, mediation, and negotiation. The stages of litigation include discovery, motions practice, and trial advocacy. A focus on criminal law can open an array of potential career choices. Possible career options include state or federal trial practice as a prosecutor or defense attorney, as well as post-conviction practice, which includes direct appeals and habeas. There are a multitude of career opportunities for South Texas College of Law Houston students to pursue in the energy industry, which include working for law firms doing energy work, oil and gas companies, and oil field service providers. Attorneys practicing in this field must develop a firm understanding of the oil and gas industry. Environmental and natural resources law encompasses all areas of law dealing with the protection of air, land, water, plants, and animals. A technical background in public health, science, or engineering is not required to practice in this field, but it could be beneficial. Estate planning attorneys provide legal assistance to clients in order to arrange for the efficient transfer of client wealth during life and following death. Estate planning attorneys may be called upon to draft wills, trusts, powers of attorney, health care directives, and prenuptial agreements, along with other planning documents. Family law encompasses divorce, custody, and a variety of other issues regarding domestic relations and the family. 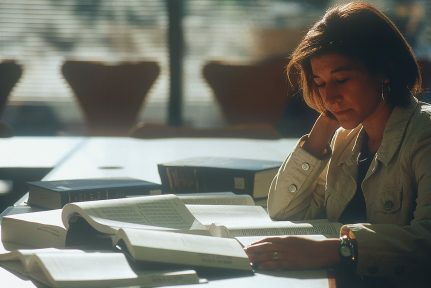 In addition to understanding the substantive law, family law attorneys must be well versed in procedure and should develop familiarity with several dispute resolution processes. Immigration law encompasses the avenues and procedures available to temporarily or permanently come to the United States. It also includes the rules that dictate whether and how to remove individuals from the country. Intellectual property is the study of law relating to certain products of the mind, usually patented inventions, copyrighted expressions, the trademarks used to symbolize commercial goodwill, and secret information used for competitive advantage. In a globalized world, lawyers need to be trained in more than domestic law. Increasingly, U.S. lawyers practice in fields where they may have foreign clients, deal with foreign parties as well as with foreign and international laws through transactional work, and litigate or arbitrate with foreign parties or on issues that concern foreign and international law. The practice of employment law may be attractive to anyone interested in people, personalities, and the dynamics of personal relations at the workplace. Employment lawyers may practice in a government agency or private firm. Public interest work includes “legal aid” practice and “targeted” lawyering. In the legal aid practice, lawyers represent clients at or near the poverty level in an array of civil legal issues. Targeted lawyering takes place when an attorney works for a non-profit or nongovernmental organization that advocates for one or more causes. Property law is a field that encompasses a broad array of practice areas and opportunities. The primary areas of focus for property attorneys are real estate and land use law. Property law can also intersect with many other practice areas, including environmental and energy law. Being a solo practitioner or member of a small practice provides attorneys with many unique opportunities but also challenges. Such attorneys must understand how to establish and manage a practice, and how to market and grow a practice. Tax attorneys provide tax planning services and help clients resolve disputes with taxing authorities. They may work in law firms, accounting firms, in-house tax departments, or for federal or state government agencies. The Texas Bar Examination is a gateway through which all the specific career pathways must pass, so all Texas law students should pay at least some attention to the subjects tested on the Texas Bar Examination when planning their law school curricula.